Middle eastern and Islamic vernacular has been entering the Western culture throughout history. 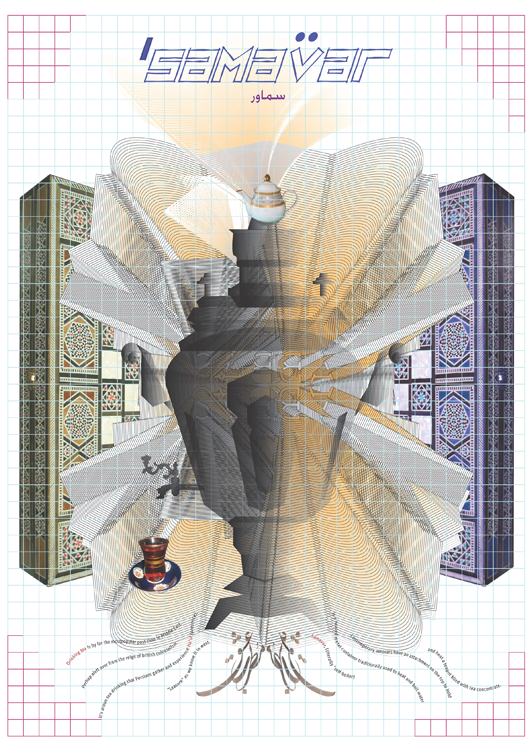 This cross pollination has been accelerated, due to globalization, as a result of which Middle eastern and Islamic cultures have become important players in global discourse of design and arts, amongst others. 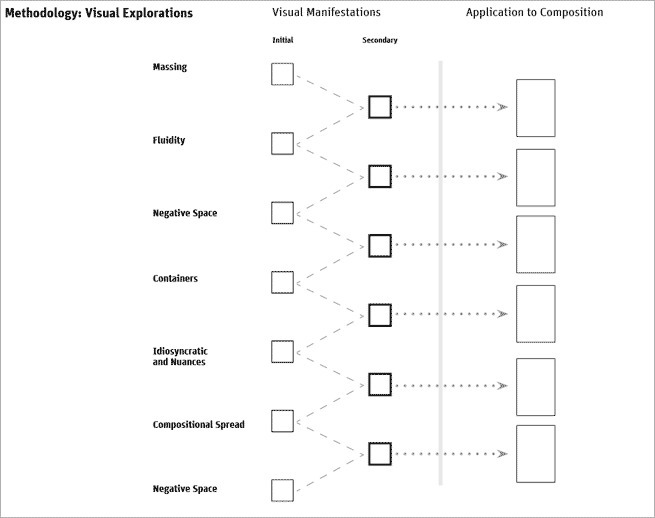 As this participation grows, the visual presence of these influences are visible in hybrid communities around the globe, pointing to the development of new hybrid-visual languages. Identification and analysis of the formal characteristics of the contemporary visual language of Iranian graphic design (limited to posters). 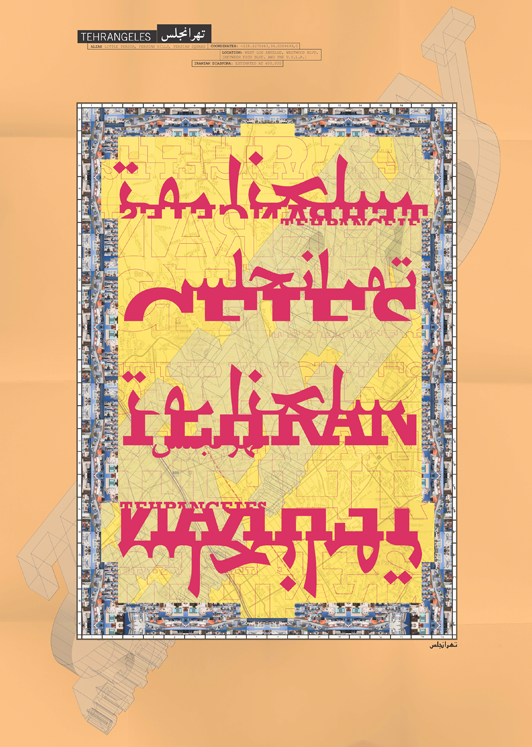 Development and formualtion of a hybrid formal language for my own work, that incorporates Iranian and Western design elements –a Hybrid visual language. 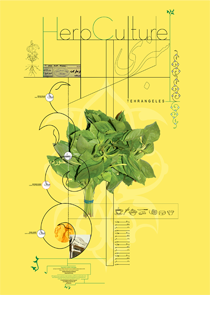 Collection of reference data base of 150 Iranian posters, produced during the last twenty years. 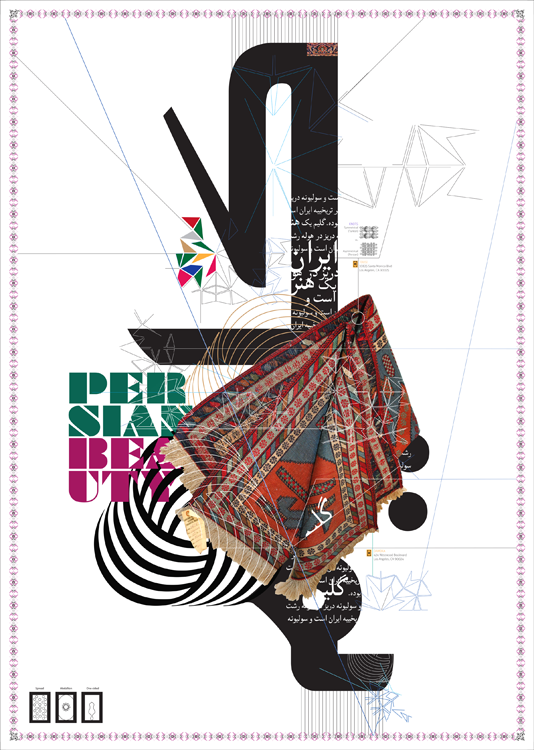 Preference was give to those which have acclaimed recognition inside and outside Iran, and were produced by Graphic designers. Sources included, the internet, journals and books. A plant or animal that has been produced from two different types of plant or animal, especially to get better characteristics. DNA whose two strands have different origins. 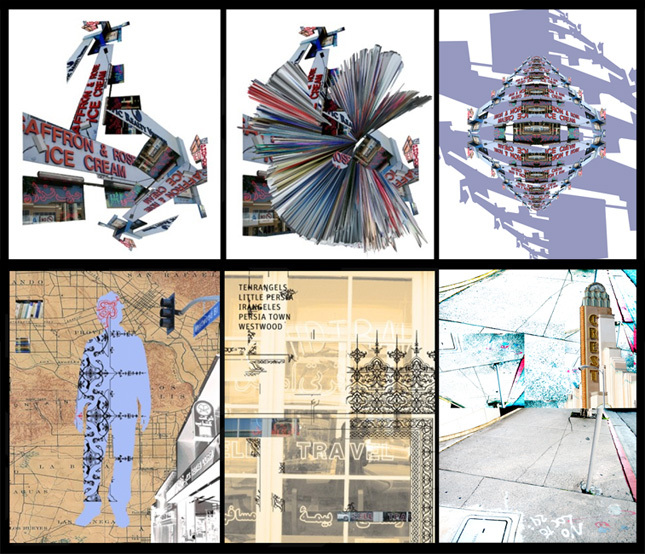 Applying knowledge arrived from above research and analysis to produce a Hybrid Visual Language, in a contemporary Western arena (Los Angeles). Dense gathering of visual elements. 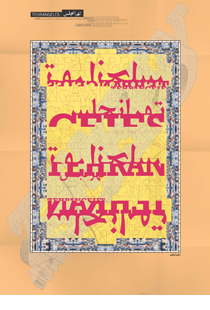 Arriving from the Farsi scripts origins, and it's inherent connective nature requiring characters to stay within close proximity of one another for legibility purposes. Illustrative, organic, fluid, curvilinear, angular, sharp endings. Farsi script's re-form for adaptation to Metal type process, was further adapted for typeface production for digital technologies. Referencing on the origins of the Nastalique script (the most prominent Farsi script). Large areas /shapes, with no micro content. Reflection of compositions seen in Persian and Quoranic illuminated manuscripts, where calligraphy and illumination was applied by separate artists, hence templates were used for consistency. Breakdown of the composition in to specific geometries. 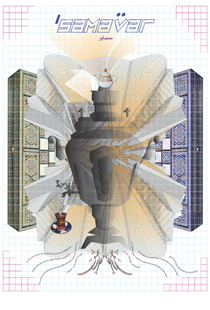 Arising from compositional characteristic of ancient Persian manuscripts where visual elements of varying hierarchies and subjects were placed in individual windows and frames,hence creating multiple micro compositions within a larger macro composition. Specific vernacular, inherent to Persian culture. Cultural vernacular – mostly from the Qajar era (1800's) Reflection of elements seen in Persian and Quoranic illuminated manuscripts, e.g. Dense intricate ornamental forms, at times "floral" like. Filling the composition with visual elements, arriving in a uniform density. Visual balance and consistency is a primary directive in the Nastalique script guidelines. Hence formal flexibility given to the calligrapher to achieve such aesthetic and compositional characteristics as balance, unity, an harmony by manipulating the forms of characters.tric areas, acting as containers, each holding specific elements. Usage human figure and characteristics. Reflective of the first presence of Western portraiture in Persian culture, and the prolific paintings and usage of portraiture of Qajar era (1800s). 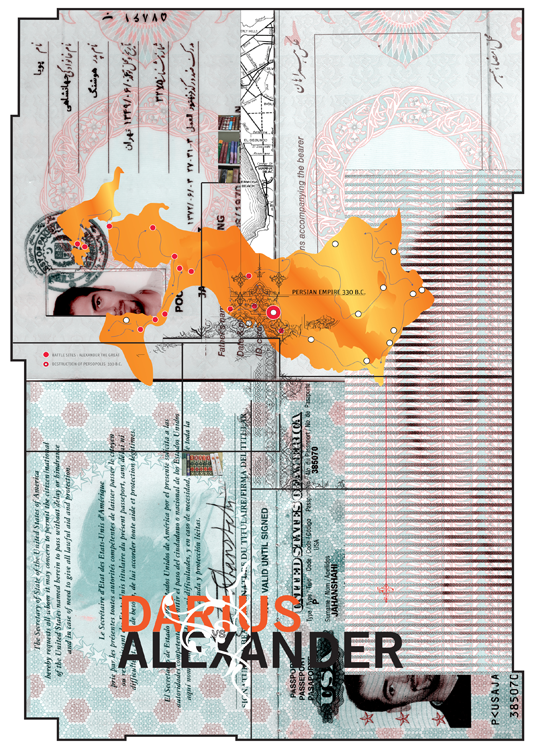 The resulting visual forms, and overall knowledge was applied to creating posters to communicate different aspects of Teherangeles – an area in West Los Angeles, that has the highest population of Iranian diaspora – in effect a hybrid community. Selecting various signifiers, from what may be considered Western visual vocabulary, and applying them in coherence with that of Iranian culture, gives birth to the hybrid-form. 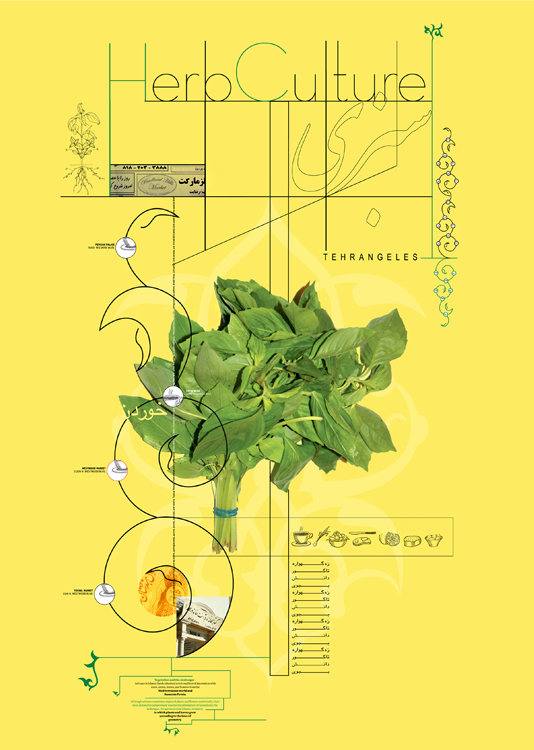 Each posters objective is to depict a specific characteristics of Teherangeles. On a expressive and formal level, they act as hybrid visual forms, while on a pragmatic level, they inform the viewer of specific locations cultural / commercial entities in the vicinity Teherangeles. From Avicennas (980-1037) medical discoveries, to presence of the garden"Bagh" theme in Persian carpets, nature and its gifts have long had a dominant presence in Persian culture, arts and science.The ancient tradition of using herbs in all aspects of life continues to be a dominant characteristic of the Iranian-American community. Perhaps amongst all artifacts , the Persian carpet best signifies the Persian culture, from its delicate silk and woolen threads, to its timeless patterns and magnificent craft. This beauty continues to weave a Persian presence through any space it occupies. 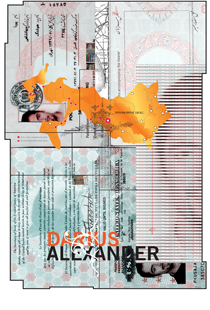 The adoption of a hybrid identity is amongst the tasks of any immigrant. For me as an Iranian immigrant in the West, the dual identity is resembled in the epic battle of 331 BC, and the defeat of the Persian Empire, By Alexander the great. The contents of Bookstores in Teherangeles are a reflection o this look at this pivotal event. As different generations of Persians grow side by side in Teherangeles, the dual language of Farsi and English create a new "hybrid language", at times referred to as P-English. Hence both languages are used in a sentence, creating distinct audible transitions between the vocals; a beauty in itself, heard all along Teherangeles vicinity. Drinking tea has long been part of ancient Persian customs, perhaps brought about by the influence of the British. From politics to Chess and Backgammon games, these all take place around tea-drinking ritual. At the nucleus of this ritual narrative, is Samavar, a water heater and tea-brewing utility.